How much progress do children make at Dunbury? We measure progress through tracking points. Each year consists of 3 tracking points. There is some variability with small cohorts and with some pupils joining or leaving the school mid-year. This particularly affected the performance measures for the Y6 cohort in 2018. Last year, on average across the whole school, children achieved 3.2 points in Reading, 3.2 points in Writing and 3.2 points in Maths. Increasing numbers of children are now achieving Age Related Expectations (ARE). At the end of the academic year 2017-18, across the school, the percentage of children at ARE were: 79% in Reading, 67% in Writing and 75% in Maths. 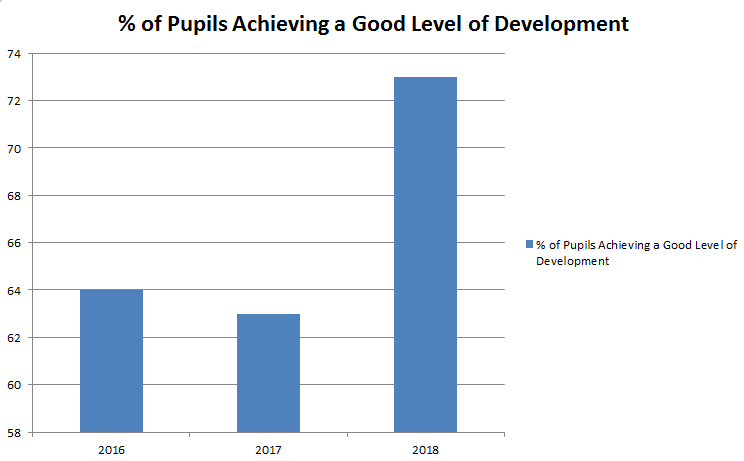 The proportion of pupils achieving a Good Level of Development in 2018 improved in line with the national average. The proportion of pupils meeting the expected standard dipped in 2018, due in main to a higher proportion of SEN. 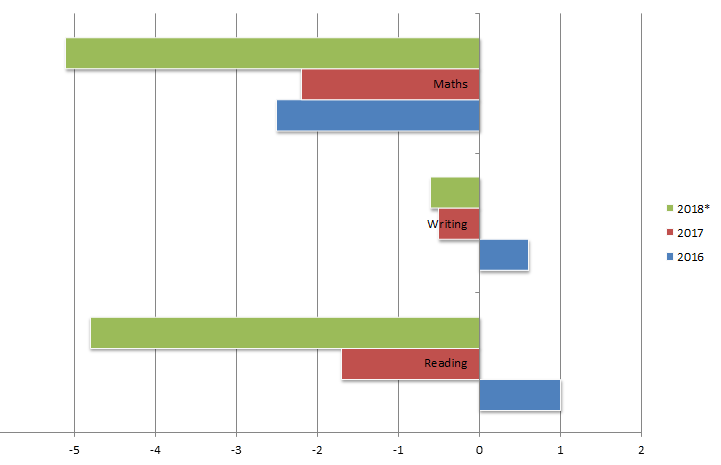 Specific intervention continues to ensure that all pupils meet the standard before the end of Key Stage One. 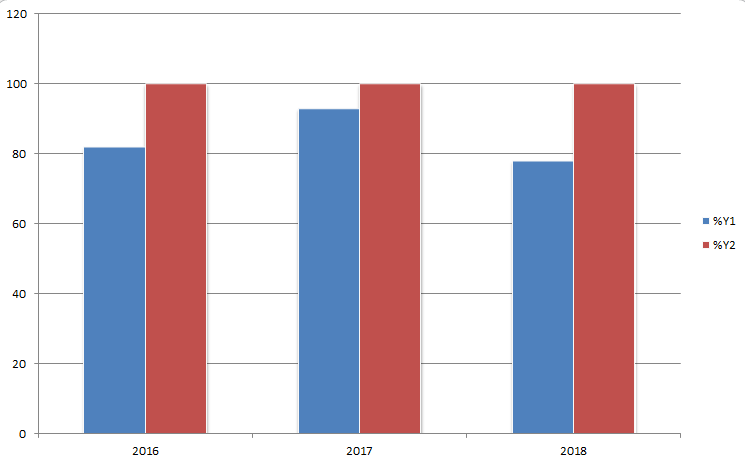 In 2018 there was improvement in all three subjects, with attainment now above the national average in Reading and broadly in line in Writing and Maths. The proportion of pupils achieving ARE in Maths was lower than hoped for and expected. 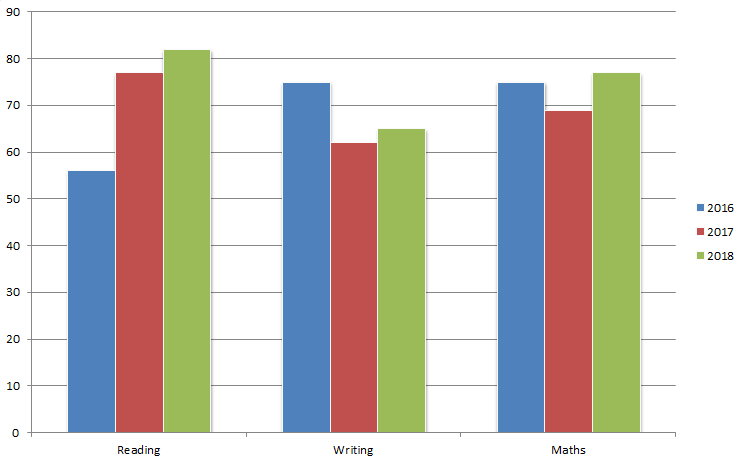 The performance of the cohort in the tests was lower than teacher assessment in both Reading and Maths. Forecasts for 2019 are for attainment to be above average once again, in all subjects. 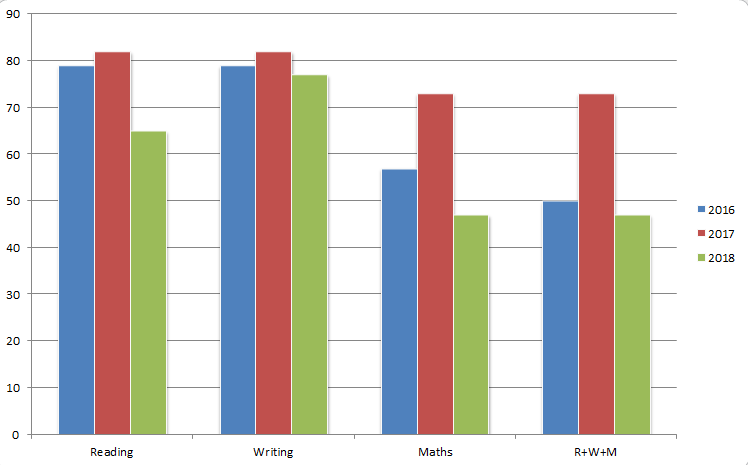 Progress was highly disappointing for Reading and Maths for the 2018 cohort on average. Lower than anticipated performance in the tests for some pupils has informed the school’s current plans for improvement to ensure pupils achieve to their best ability in future. Crucial to the progress measure is a cohort’s assessment at Key Stage One. This cohort was subject to un-moderated assessment in 2014. In addition, there was a high rate of pupil mobility in Upper Key Stage Two, with several pupils joining Dunbury from other schools. 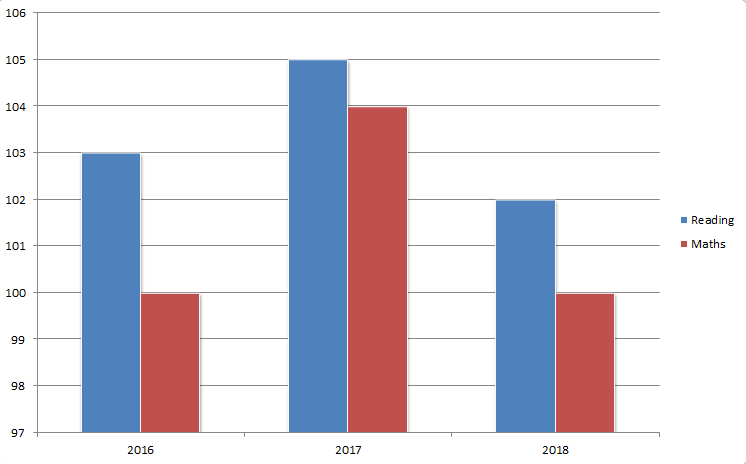 *A change in the methodology used by the DfE means that progress scores in 2018 are not directly comparable to progress scores in 2016 and 2017. After improved average test scores in 2017, 2018 test outcomes were disappointing. Forecasts for 2019 are for outcomes to be at least in line with the national average.